Caption slip reads: "Photographer: Forbes. Date: 1955-07-13. Reporter: Sid Bernstein. Assignment: Camp Fire Girls Award. 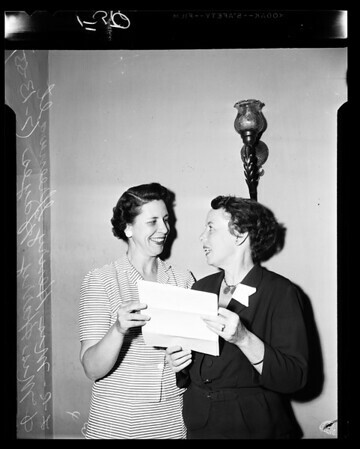 49/50: L to R - Mrs. Henry Greenwalt, Mrs. Harry Hayes, Monday."